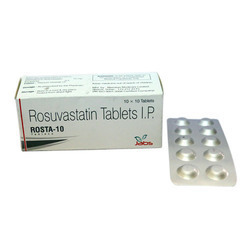 Our product range includes a wide range of rosuvastatin calcium tablet, rosuvastatin tablets and clopidogrel 75 mg.
Rosuvastatin is used along with a proper diet to help lower "bad" cholesterol and fats (such as LDL, triglycerides) and raise "good" cholesterol (HDL) in the blood. It belongs to a group of drugs known as "statins." 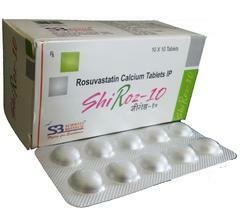 It works by reducing the amount of cholesterol made by the liver.